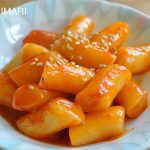 How to enjoy a Korean Breakfast Buffet as a visitor in Korea! 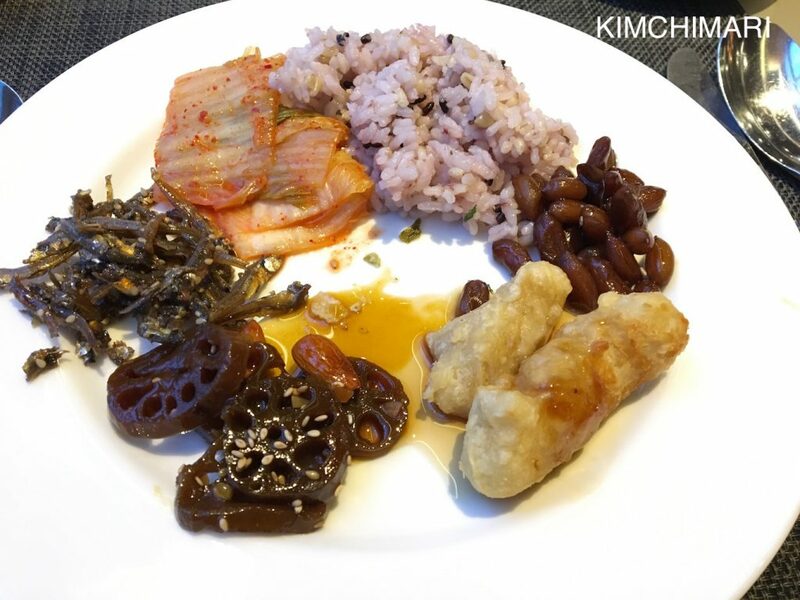 This is a quick post on how to enjoy a Korean breakfast from a buffet. 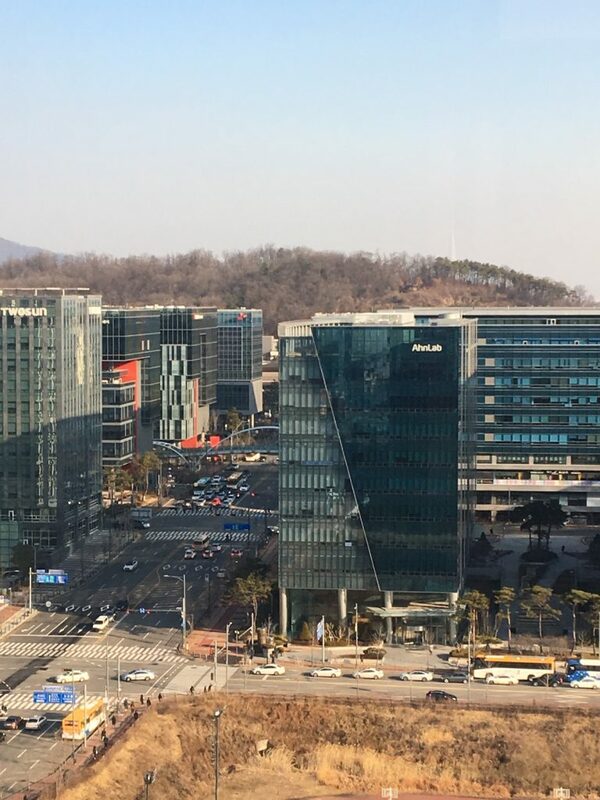 I just came back from Korea (a very last minute trip) and this time I stayed at Courtyard by Mariott hotel in Pangyo. I lived in Pangyo (near Bundang) while we were in Korea from 2012-2014. Now, when I look back, there were so many things I could have blogged about and shared with you all. But because I was going through a very tough period in my life, I just really did not feel like writing at all. As they say, life has its ups and downs and this period was definitely a time when I experienced more ‘downs’ than ‘ups’. Anyway, we can get into that later … but for now, let’s talk about breakfast buffets in Korea! I don’t know about you but I love and don’t love a breakfast buffet. I love breakfast buffets because of all the different varieties of foods you can have. And especially in Seoul (or Pangyo in this case), it is usually a wide mix of American, Korean and other Asian style breakfasts which makes it quite interesting. 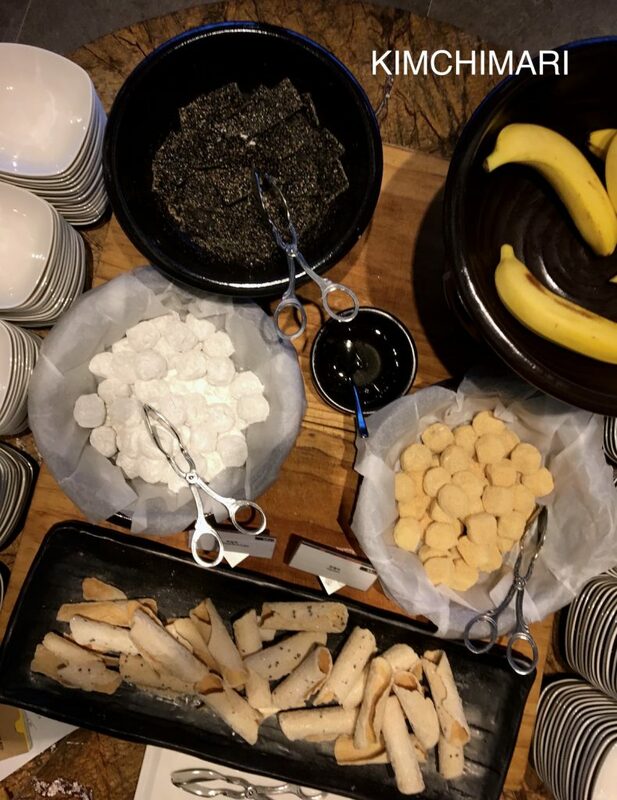 This time, I was surprised to find some great items at this breakfast buffet so I wanted to quickly share some yummy foods that I got to have at the hotel. 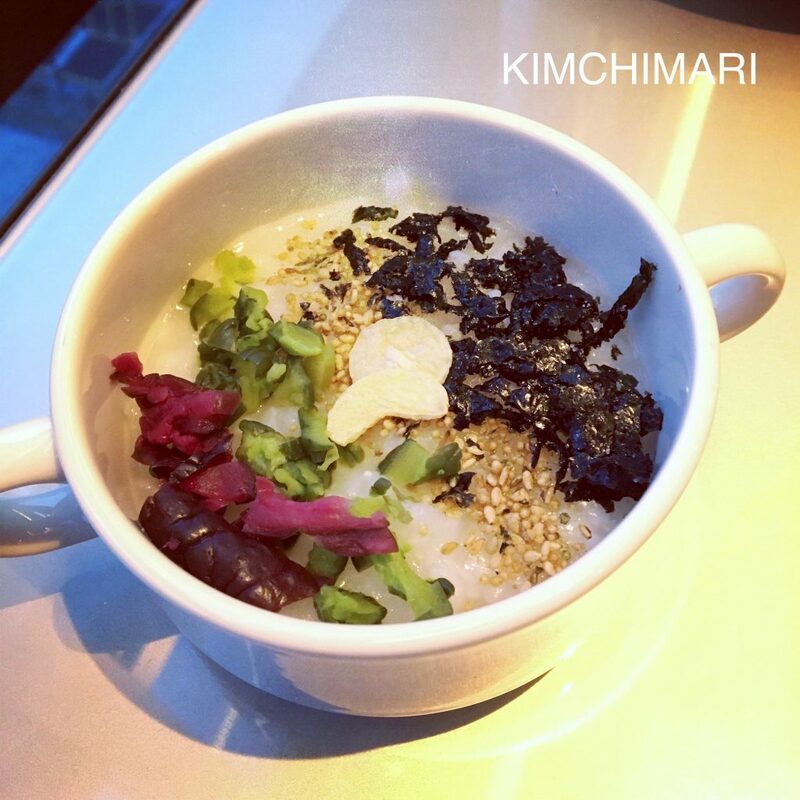 Rice porridge or Juk is a very common menu item for Korean breakfasts but Koreans love to have them also for lunch. BTW, many people use Juk and Congee interchangeably (I actually used to do this too) and I have to agree that they are very similar in many ways. 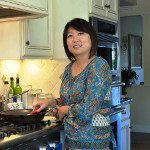 They both usually involve cooking rice for a long time in a large amount of liquid. But there is also one important difference. Korean Juk 죽 (rice porridge) comes with the ingredients like meat, vegetables and seafood already cooked into the rice mixture whereas congee mostly start with just plain white rice porridge and then different toppings are added on top later. And Juk is served with side dishes like jangjorim, myeolchi bokkeum and kimchi. So, this bowl of Juk that I made for myself is actually more in the style of Chinese Congee. 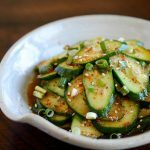 But what’s kind of fun is that the toppings are Japanese style pickles (red and green cucumbers) with an addition of fried garlic, sesame seeds and gim 김 slivers. The pickles added a great crunchy texture that is usually missing in Juk or Congee, so I really enjoyed that. Having Juk was certainly a wonderful way for me to start my first meal in Korea after a long flight and not having had a good night sleep the night before. 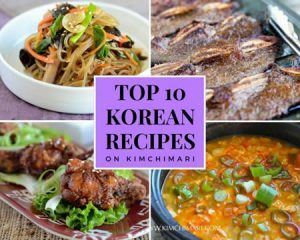 So Koreans have many different kinds of Juk and below is a list that I quickly created. I realized I have only made one of them so far. More to add to my list of to do’s! 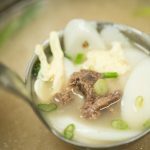 Jeonbokjuk – abolone porridge – my personal favorite! 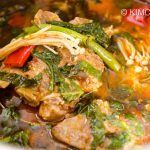 Bugak is an excellent side dish that goes well with any traditional Korean breakfast or any Korean meal for that matter. But especially with the soft Juk, these crispy, crunchy, slightly sweet, slightly salty and tons of umami flavored deep fried chips called Bugak was the perfect side dish. Bugak is a very old, traditional Korean food that has records going back to the Shilla dynasty. 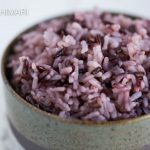 In addition to fermentation and dehydration, bugak was another way for Koreans to preserve both land and sea vegetables to last for many months. 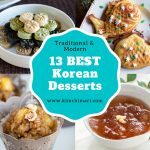 Bugak was one of the 12 different categories of dishes served to the King and Queen in the palace and therefore was an important part of Korean Palace cuisine 궁중음식 Gunjung Eumsik. I am definitely planning on making these delicious bugak soon. I used to make Dashima Bugak all the time but haven’t made one recently. I was so happily reminded of these gems at this breakfast. 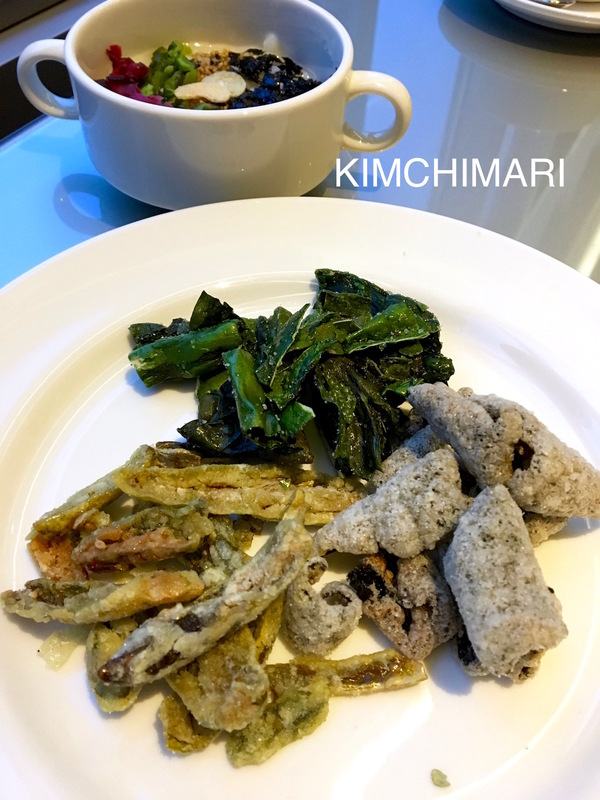 Sweet and salty lotus (Yeonkeun Jorim), Soy glazed anchovies (myeolchi bokkeum), Kimchi are very typical and traditional Korean side dishes for breakfast. The peanuts and fried squid are more like Chinese Korean than typical Korean. This was good but I found the anchovies and lotus a little too sweet for my taste. 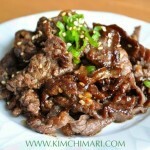 I would have loved some type of namul something that was not so sweet. A nice mini buffet of traditional sweets to finish a good Korean breakfast. There was Injeolmi (sweet rice cake), black sesame cookies (Kkae Ganjeong) and rolled cookies (jeonbyeong 전병). 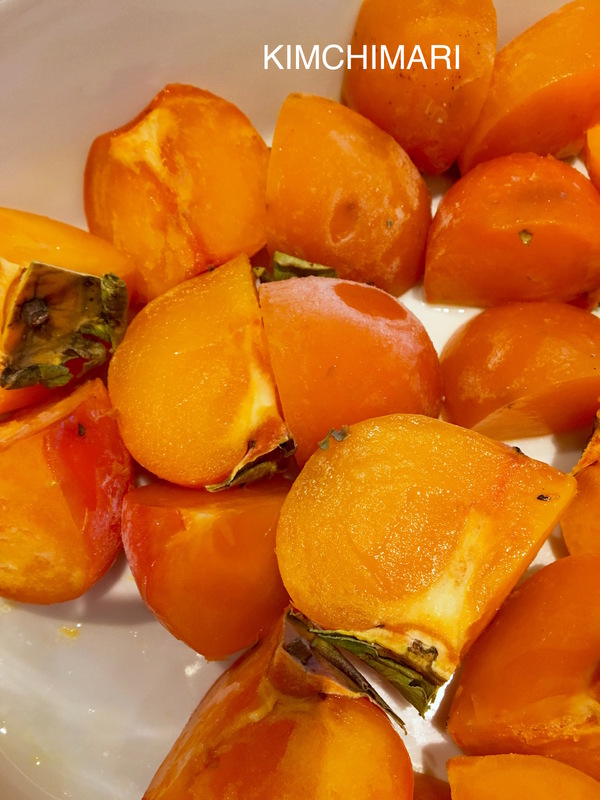 OH, OH and I was so happy to see these at the fruit table – frozen persimmons! 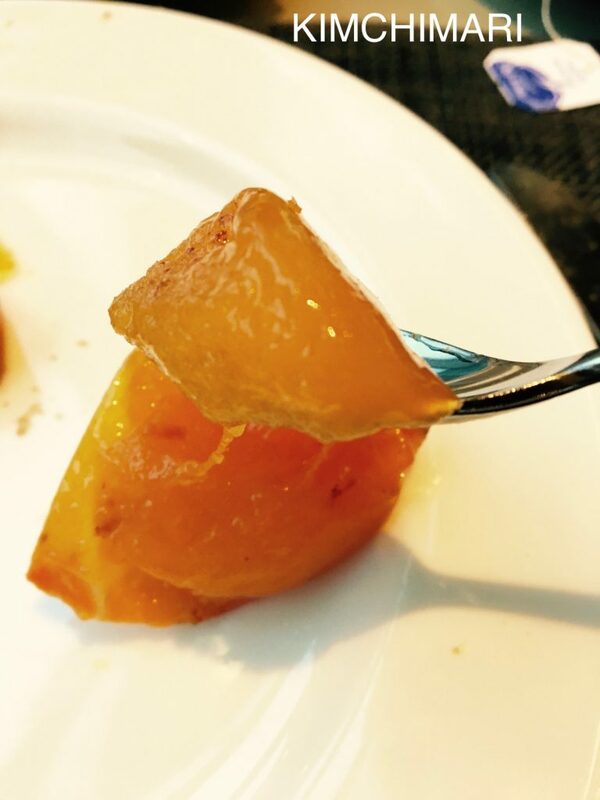 Did you know you can freeze Korean persimmons (the kind that becomes soft once ripe) and then it becomes like a sorbet dessert? This is a great way to preserve persimmons for longer periods. Well, I’m so glad you were able to join me for a Korean breakfast buffet at Mariott Hotel at Pangyo Techno Valley – the silicon valley of Korea 😂. 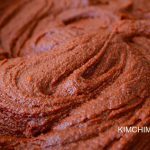 « Easy Homemade Gochujang Recipe – Almost Instant! Always a fountain of fascinating (and appetising!) facts. 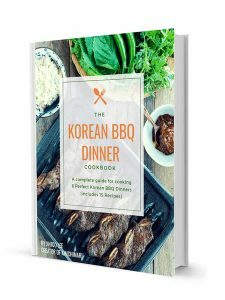 Korea, well South anyway 😉, Is now on my bucket list, all thanks to your blog. I’m glad you are not in the same emotional place anymore, not good for your well being. Good wishes.